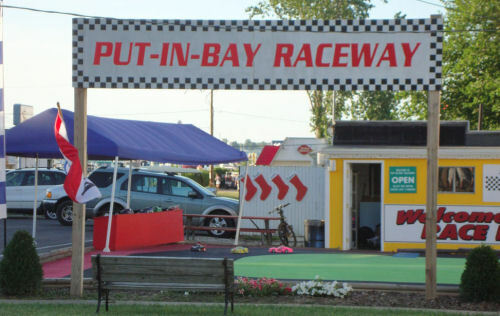 The Put in Bay raceway is a family fun Island Attraction. Vroom, Vroom! Come down and challenge a friend to Put-in-Bay's most exhilarating, adrenaline filled speed spot. There is a 1:10 scale with 2 and 1/2 minutes of great racing action. The racers travel at speeds higher than 50 miles an hour. This is much faster than you can travel on anywhere on the island! Get your racing fix at the Put-in-Bay Raceway.